In my previous article, I covered job search basics for those who are either new to job searching entirely or returning to the market after a long time away. In today’s article, I’d like to cover the next step in the process: interviewing. Again, this information may seem very basic to some people, but to new job seekers and those entering the market for the first time in a long while, it will be invaluable. Once you’ve applied to a job, you’ll be contacted to arrange an interview — provided the company finds your qualifications sufficient, of course. These days, companies may contact you in a number of ways, so be prepared. Text message: Once considered unprofessional, today’s recruiters commonly use text messages to contact candidates. If your text messages have a signature, be sure it is professional and not something that would make someone judge you harshly. Email: I recommend you set up a separate email account strictly for job hunting. Check this inbox several times throughout the day. Check the spam folder, too. You do not want to miss an opportunity because the message was accidentally filtered as spam. Job board: Some job boards allow employers to contact you directly through the site. For example, if you apply for a role on Government Jobs, you’ll most likely be contacted through your profile on the site. If you’ve applied through a job board, be sure to check your account daily so you don’t miss any messages. By phone: During your job search, you have to be extra careful. Do not answer calls from unknown numbers unless you are in a quiet area and have time to respond in a professional manner. The caller could be a recruiter, and they will be assessing you from the minute you pick up the phone. What Kinds of Interviews Will I Face? Video interviews: Video interviews are becoming very popular, thanks to their flexibility and convenience. You will need to have a webcam and microphone. Most laptops have these built in, but you may want to purchase external ones for better sound and video quality. Practice before the interview: Set up your webcam with three-point lighting, ensure the camera is at the right height, and set up your background so that it is free of clutter or distraction. When it’s time for the real deal, silence your phone and all alerts on your computer so that they do not distract you during the interview. If possible, send your pets, children, and spouse out of the house for the duration of the interview as well. Telephone: I like telephone interviews. They allow you to keep your resume and other important documents in front of you. I recommend taping them to a wall so you can stand and easily scan the documents while answering questions. Plus, the interviewer will not hear you rustling papers. Use a landline if possible, as cellphone service is not perfect. If you can’t use a landline, take the call in a place where you have a clear cell signal. Disable call waiting so there are no interruptions during your interview. Panel interviews: These are interviews with more than one interviewer at a time. They can be nerve-wracking, but there are a few things you can do to maximize your chance of success. First, bring a notebook or pad of paper to jot down notes. This way, you can keep track of all the interviewers’ questions and comments. Be sure to smile and make eye contact with the person asking the question, as well as with the other panel members when you are answering the question. When the interview is over, I recommend you approach each panel member to thank them personally for their time. Another type of interview is an informational interview, which is not exactly the same as a job interview. An informational interview is one you schedule with someone in your desired industry and/or place of employment to learn more about the field and/or the company. 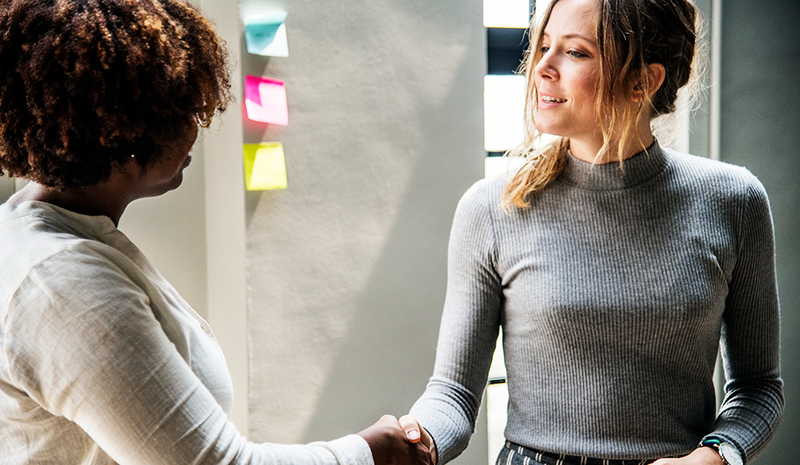 Informational interviews can be great ways to make connections, gather information, and get your foot in the door with a dream employer. To ask for an informational interview, send an email to the person with whom you’d like to connect. Be respectful of their time. Ask for no more than a 20-minute meeting. Prepare your questions in advance, and arrive on time and dressed professionally. I do not recommend inviting the person to coffee or lunch. Time is money, and this may send the message you do not value the person’s time. A cup of coffee or a lunch does not equate to their hourly salary. After the interview, send a handwritten thank you note. Technology has changed both how employers and recruiters communicate and how interviews are carried out. Be sure to prepare yourself for the many communication methods and interview styles you’re likely to come across. That way, you’ll be positioned for success no matter what.